Jaime Lannister (Nikolaj Coster-Waldau) had the last word a few years ago, just before Game of Thrones reached its end, "The things I do for love". Nearly seventy episodes later, Jaime returns to Winterfell, again with Bran Stark (Isaac Hempstead Wright), but this time? No succinct One-liner in sight. It is understandable why the anti-hero of Game of Thrones can not find his words exactly. Both Jaime and Bran have changed enormously since last seeing each other. The golden-haired swordsman has lost his fighting hand and his family, while the latter party has at least lost all traces of humanity. Today, Bran Stark prefers another name: the Three-Eyed Raven, a title he inherited alongside the all-seeing magical powers he has gained from his journey across the wall. These powers will be a deciding force in the five remaining Game of Thrones episodes, as shown in the last season premiere. Although Bran may not be in touch with mortal issues, it could not be otherwise for Isaac Hempstead Wright, who has been playing the role of young Stark since the beginning of the throne. He has turned into his own right, an adult, taller than some of his peers, with much wisdom, and Bran is ready for the great war against the Night King and the White Wanderers. The actor is also ready to watch the Game of Thrones to finally end. 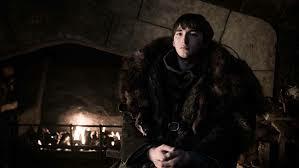 In advance, Hempstead Wright talks to The Hollywood Reporter about the events of the last season premiere, Bran's Bow specifically and how he will get in touch with Jaime, what to expect in the remaining episodes, and why he is more than sad about the award. to win the ever-threatening conclusion of the HBO drama. I think we all expected this to happen. Bran knew everything [for quite some time], so it was inevitable that he would wait uncannily for Jaime to emerge. (Laughs) I remember when I read the episode for the first time while I was in my university hall. I remember thinking, "I make sure I lock myself in. Everyone would love to read right now." I read the first episode and it was so incredible. We come back after two years since you last saw these characters. The key is to bring people back into the Game of Thrones universe and bring them back to all new alliances and so on. The cliffhanger in the end? It's just a genius. It's exactly the same cliffhanger we had in [the series premiere]. It's a really nice, cyclical thing that the last episode of the first episode reflects the first episode. The arrival scene of this queen was really interesting because she was pretty much what we had done before [in the first season]. It brought back many memories. Here we stood side by side again, now in a completely different altitude, and I was ten years older. It was great fun. I remember that it took a few days to film; It was a pretty big scene. Of course, Bran has all these funny lines: "We have no time for all that!" Again it was so funny. I love to be loved, to be that madman in the corner who whistles now and then with a strange, abstract comment that makes everyone "What?" (Laughing). More or less it is pretty much the same. However, I was aware that I had more wisdom. I tried to make it a bit like Max von Sydow's three-eyed raven. In the seventh season, I felt like he was just overwhelmed. He had just downloaded everything into his head. He has not quite finished it yet. My approach in the eighth season is that he has some more control over his powers. He sits there like the wise old man, who knows what's going on and has to explain this petty mortal, which is really important. Another cool thing in this episode: Face Emilia [Clarke] as Daenerys. Its so funny. I do not think that's something that I thought would happen. For so many years, my character has been at the edge of the main story. Daenerys was always so far away. She was on another continent. Why on earth would I ever have a scene with her? I especially enjoyed doing this by behaving towards Emilia and all the other people who are now suddenly involved in this scene. It's also your first scene with Kit Harington from the beginning, right? Law! The funny thing is, these great reunions, for me, these are some of the first scenes I've done with these people. I could count the number of scenes I had with Kit on my left hand. Its so funny. Because of the story, the audience is enthusiastic: "What a great reunion!" But really, these are some of the first times I work with these people, especially as an adult and not just a kid. It was great fun. What energy does that bring to the performances? It is really exciting. Because then you are transferred and there is a whole gang of you. There is definitely a different atmosphere. We are used to hanging out at premieres and such. These are people I've never been with. The fact that we are all there for the same reason has given us this truly vibrant set. Of course, having lots of different people around brings a different kind of energy. I think it will come through. How did you consider Bran's prospect of reuniting with Jon Snow? He tells Jon that he is less of a man than he looks, since he is now the Three-Eyed Raven. Does Bran feel happy when he reunites with his family member? There is a sense of, I would not necessarily say "joy", but there is still a part of Bran in the Three-Eyed Raven. He remembers what it had been like to be Bran. Usually his mind is busy with so many other things. But when he's in Winterfell, surrounded by so much of his family and so many people he has not seen in a long time, he's certainly flaring up those parts of his brain that are Bran. I think there is a flicker of it when he thinks, "Nice to see you again, it was interesting to see your trip." But I think it's all related to how interesting it was to see how a person's life has developed, the journey you've been on, the things you've seen, why you're here today where to go from here. It's not like Bran sitting down and shooting with Jon for an hour. It's more like, "Nice to see you again, you had an interesting trip and you have another interesting trip." At the end of the episode, Bran increases the pressure on Samwell Tarly by getting him to tell Jon the truth about his Targaryen roots. Why does not Bran Jon tell himself? Because Bran is not stupid. He may not be very emotional but has a sense of how the world works. He knows it will not be the best revelation for his brother or what is it now? His cousin? whom he has not seen for many years. What will he say? "By the way, you take your aunt and are the heir of the Iron Throne." Bran is smart enough to know that he is not the right person to deliver the news. This message must come from Sam. It takes a very human touch, and Sam is one of the most human characters. He's cute, he's vulnerable and he's a great friend of Jon. Jon has to hear it from someone like that. He can not be reactionary. He has to take it at face value. Back to the end of the premiere, how much did you wonder what it would be like to see Bran Jaime again? This is the man who pushed him out of the window and made his way to the Three-Eyed Raven. Did you always feel that billing would be inevitable? You know, I'm not sure. In a sense, it's really so irrelevant to Bran. His only focus is that he wants the survival of the living. He is on the side of the living. He is the ancient archenemy of the Night King. He is so far beyond petty quarrels or the intention to seek revenge or to judge someone. That's not how he sees the world anymore. He simply regards things as timelines that must overlap and end up in certain places. I think from the point of view of history it is amazing that it happens. Me as Isaac? I was thrilled to see this reunion, because it's such a poignant moment and so cool for Jaime to come here and realize that Bran is no longer Bran, he's damned scary. But in terms of Bran? I do not think he really cares. It just is not on its priority list.